Ten Faery E-Books by Ten Authors, Bundled Together for Top Ten Success! On Saturday, April 19th, Faery Realms hit the number 9 spot in the Teen section of the Barnes and Noble Nook store. 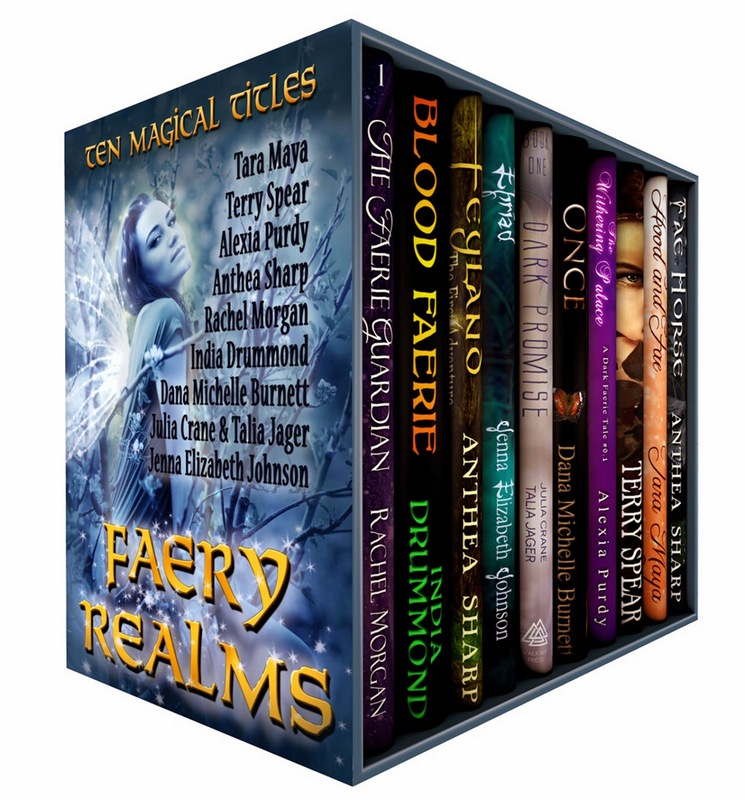 Faery Realms is a bundle of ten novels and novellas, all by different authors. Six of those ten authors have responded for this interview, each choosing whatever questions they wanted. First, let’s find out what Faery Realms is about. Enter the magical realms of Faery with these ten award-winning, bestselling fantasy authors. Each title in this sample collection offers a new and different world full of mystery, love, and most of all, fae enchantment. Together, these books have over 250 5-star reviews on Amazon and 150 5-star reviews on B & N. They are best for ages 13 and up. 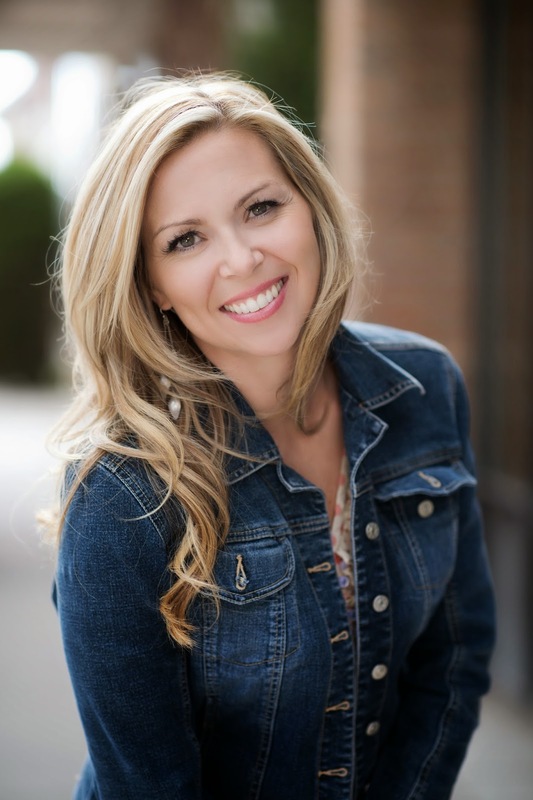 Jenna says, “Well, I’ve discovered that my goal of becoming a full-time author, without a big publishing house to back me, is actually within my reach now. For years I’ve always dreamed about it and said to myself “one day”. As of right now, I’m so very close and some days it astounds me that I’m almost there.” And Terry added that she didn’t expect sales to international markets. What does your writing schedule look like? What are you working on now? Talia Jager says, "I have a constant stream of stories that flow through my head. I work on whatever is yelling loudest that day. Today it happens to be the third book in The Between Worlds Series. After doing my parenting duties for the morning, I sit down in front of the laptop and write for as long as I can. Sometimes it’s five minutes, sometimes a couple of hours. Then I go back to being a mom and wife until bedtime when I turn on some music or the TV and write some more. I write late into the night, get up and repeat the next day." Rachel Morgan says, “In South Africa, [where she lives] the publishing world is a small one compared to what you'd find overseas, and fantasy is a genre that not many publishers are interested in. If I'd searched for a traditional publishing contract here, I probably wouldn't have reached many readers. But the e-format allowed me to strike out of my own and distribute my stories across the entire world, reaching thousands of readers I could never have reached otherwise. I think it's safe to say that my dream of becoming a full-time author (which I have now achieved) would have been extremely difficult, if not impossible, if it weren't for the e-format." Talia says, "I believe it helps. It gets my books out there to people it otherwise wouldn’t. People can read on a device they carry around anyway. My own daughter brings her iPhone everywhere with her and on it, a large library of books. She’ll never be bored. The one thing I worry about is how flooded the market is with all the ebooks out there. Sometimes it seems like there are so many books, who is ever going to find mine? Somehow they do and for that, I’m thankful." See the latest Kids' EBook Bestseller List for more top ten e-format authors and their books. It's updated every Saturday morning. On April 19th, the Kindle #1 book for Children was Old Story New: Ten-Minute Devotions to Draw Your Family to God. The author, Marty Machowski, joins us today to share about his book and its success in electronic format. Marty, start by telling us what your book is about. 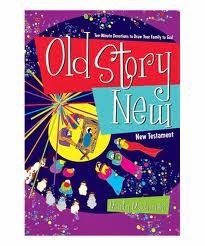 Old Story New is a New Testament family devotional that only takes ten minutes a day for families to complete. There are 5 days of family devotions for each week, with fun activities and creative illustrations to draw the interest of children and help them understand the basic gospel message of the New Testament. The book covers the gospels, Acts, the epistles, and Revelation, providing families with 18 months of devotions. The goal of the book is to help Christian families pass on their faith to their children in a way that is doable in the midst of our busy lives. Tell us about your path to publication: Traditional or independent? I began writing Sunday school curriculum for our church and companion devotions to provide a tool for families to use at home. Other churches started asking for the curriculum and devotions and that is when New Growth Press found out about our program and offered to publish it to make it available to a larger audience. What were your initial thoughts about e-publishing? More and more people are using tablets for reading so making Old Story New available on that format made sense. New Growth Press offered special promotions for the release of each of my books. I believe these promotions encouraged more people to give them a try. Families are discovering my books when either their churches start using the curriculum or by word of mouth, when folks celebrate finding a family devotional that is easy to use. While e-publishing a static book enables people to take it wherever they go. I would like to explore moving to interactive e-book apps that allow the user to interact with the material in a more creative way. I believe we will see more of this in the future. I believe e-publishing is perfect for a books that you are going to read a little each day and need to keep your place bookmarked. E-publishing reference books or books you want to mark up is not yet as advanced as it needs to be to make the physical books obsolete. I love to mark up the books I read. I am waiting for the day when you can scribble notes on the e-book page and they become a permanent part of the document in your tablet. I would also love to see a feature that mimics thumbing through the whole book looking for a mark you made on the lower right. The day I can do both of these is the day I stop buying paper books all-together. I write each morning from 5:30 to 6:30. While a piece-by-piece routine for writing doesn’t fit everyone, I find my most creative moments are first thing in the morning. I love taking advantage of the quiet my home provides before my six children wake up and start their day. Currently I am soon to release a Christmas devotional for families to help them teach their children the real meaning of Christmas. The devotional is packed with ideas for family Christmas traditions and includes a Christmas short story I’m hoping every family will want to read each Christmas season to their children. In addition to that project I am writing a Sunday school curriculum on the book of Proverbs and just completed an illustrated theology book for young children that will be release in 2015. I would love to see all of these published as e-books and perhaps have the theology book turned into an app you could download onto your tablet and interact with. Find out more about Marty and his books at his website and blog. See the latest Kids' EBook Bestseller List for more top ten e-format authors and their books. On Saturday, April 19th the Witch Avenue Series was #3 in the Teen section of the Barnes and Noble Nook store. The following week it was still in the top ten. Karice Bolton is the author of the collection, which includes four books: Lonely Souls, Altered Souls, Released Souls, and Shattered Souls. Karice has been on the Kids' EBook Bestseller List before. I featured another interview with her back in April of 2012, when her book Legions was a bestseller. I was delighted when she agreed to join us again. Welcome back! Let's start with a description of the Witch Avenue Series. Every town has its mysteries. Every avenue has its secrets... 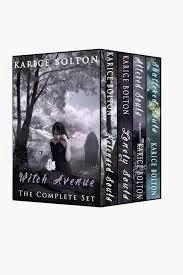 The Witch Avenue Series follows a young witch named Triss as she uncovers deadly family secrets, falls in love, and explores the darker side of magic. But it is up to Triss to fight for what is right and save the covens around the world. I write in several different genres and age ranges, but my audience tends to follow. I’m very grateful to my readers for their willingness to follow me as I cross those genre boundaries. I believe the e-format does serve their needs, but I also think paperbacks are a nice compliment. Many of my readers start with the ebook(s) and then purchase the paperback for their shelf. I tend to do the same. My writing schedule is pretty packed, which I love. I’m currently working on a New Adult suspense-romance and also the fourth book in the Beyond Love Series, which is also a contemporary romance series. I also have the Afterworld Series that I’m focusing on this summer. The first book, RecruitZ, is out now, and I’m looking forward to writing the second book in the series, AlibiZ. I think whenever an opportunity exists to ignite the love of reading in someone, it is an exciting thing—regardless of format. I know some of the most amazing messages I receive are when someone tells me that they weren’t into reading and then one of my stories sparked that love of reading in them again. I have had a passion for reading ever since I was a little girl, and it’s thrilling when new readers find that same love of storytelling, regardless of age. I think the convenience that ebooks offer is an awesome thing! Find out more about Karice and her books at her website or by following her on Facebook , Twitter, or on Pinterest. See the updated Kids' EBook Bestseller List for more top ten e-format authors and their books. TIMEBOUND: Spending Plenty of Time in the Top Ten for Kindle Teens. 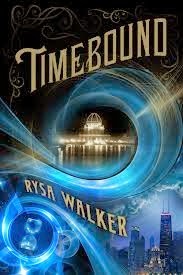 On April 5th, Timebound by Rysa Walker hit the number 8 spot in the Teens & YA section of the Amazon Kindle store. Five weeks later and it's still in the top ten, taking the number 6 spot today! Timebound is the first book in Rysa's CHRONOS Files series, with book #2 expected to be out by October of this year. It was the 2013 Winner of the Amazon Breakthrough Novel Award in the Young Adult Fiction category AND it was the Grand Prize Winner! Rysa joins us today to tell all about her book and its success in electronic format. First, what's the story of Timebound? If not for the odd blue medallion around her neck, sixteen-year old Kate would simply cease to be. And if she cannot learn to use that medallion to prevent her grandmother's murder at the 1893 World's Fair, billions of people will meet an identical fate at the hands of the Cyrists, a time-traveling cult planning a drastic form of environmental defense. With so many lives at stake, Kate has no choice. But changing the timeline is not without cost. 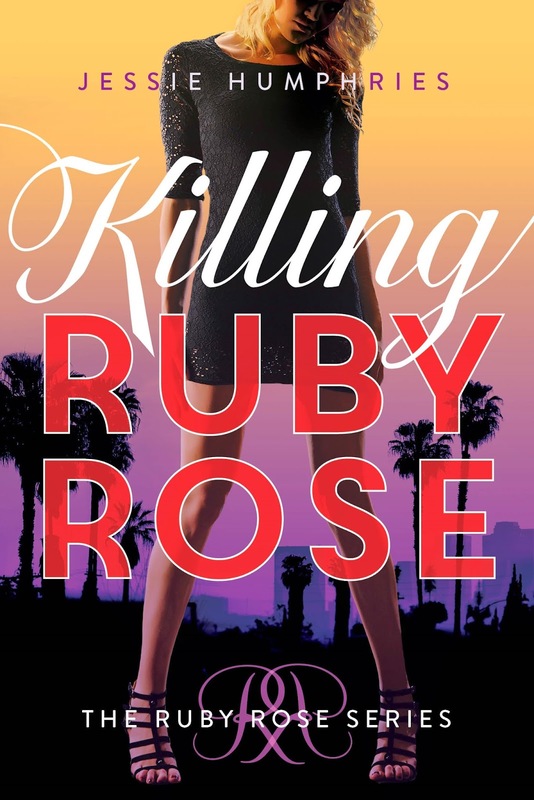 Kate will remember the past few months with the guy she loves, but when he looks at her, he'll see a total stranger. Timebound was originally self-published (as Time's Twisted Arrow) in October 2012. It did okay, but the book really took off after I entered the Amazon Breakthrough Novel Award. In June, 2013, the book won both the YA and, thanks to the online voters, the Grand Prize, which led to a publishing contract with a $50,000 advance on royalties. That allowed me to quit the day job (teaching college online) and focus on my writing. Timebound was then republished by Skyscape with a new title and cover in January 2014, but it was also selected as a Kindle First selection for December. That meant that thousands of ebook readers were able to access the book a month in advance and this resulted in a large number of reviews--over 2000 now-- and I think that's something that many readers look for before taking a chance on a debut author. Skyscape is an imprint of Amazon Publishing, which means that I have a top notch marketing team to help me reach readers. The contest and Kindle First placement have definitely helped people find Timebound, but nothing can substitute for a good story that can be appreciated by both young adults and older readers who haven't lost touch with their sense of wonder. I think the majority of my readers to this point have been adults--but many of them are passing the book along to the younger readers in their lives. Word of mouth has also been important and I'm active on Facebook, Twitter, and Goodreads. My target audience is 14 and up, but I've gotten positive responses from readers as young as ten and as old as eighty-four, both male and female. Timebound doesn't have much adult language and the romance sections are fairly tame, so younger teens aren't a problem in that respect. Two of my beta-readers are middle school students, actually, but preteens who aren't advanced readers would probably find it a bit challenging. We've had a lot of cross-over from adult readers who enjoy light science fiction and historical fiction, and I think that's been instrumental in our success so far. Basically, anyone who can follow "Doctor Who" without getting a headache from the "wibbly wobbly timey wimey stuff" will probably enjoy Timebound. I have been a Kindle user for several years and I rarely read print books. I often joke that the Kindle may have the been the result of a deal between my adolescent self and the devil, because I would probably have sold my soul as a twelve-year-old for a device that let me download a new book instantly. I lived ten miles from the nearest library (which was and still is sorely underfunded) and thirty miles from a bookstore. My kids read almost exclusively on their devices, and so I am a strong supporter of the ebook format. The self-published version of Timebound was published first as an ebook and the vast majority of my sales before and after ABNA [Amazon Breakthrough Novel Award] have been ebook. To be honest, I would never sign with a publisher of YA books that emphasized print sales over ebooks or who put ebooks at the same price as print, because I don't believe that company will be around for the long haul. Timebound is part of a series (The CHRONOS Files). I'm working on editing the second book (Time's Edge) which will come out in October, and also putting the final touches on an e-only CHRONOS novella planned for early summer. The third book and a second novella will follow a similar schedule for 2015. So, a very busy couple of years ahead! Find out more about Rysa and her books at her website and her CHRONOS Files blog, or by following her on Facebook or Twitter. See the updated Kids' EBook Bestseller List for more top ten e-format authors and their books.